Leprosy. It’s no longer a word you hear very often. It’s given way to its modern name, Hansen’s Disease, and is %a treatable disease. But, in the early 1900s, it was known as leprosy and diagnosis was devastating. In Hawaii, a diagnosis of leprosy brought fear and despair. 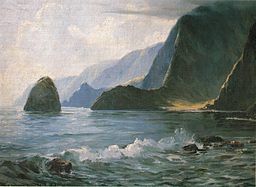 I’ve written about how the Hawaiians dealt with the outbreak of leprosy during the sugar plantation era in my article “Leprosy and the Formation of the Molokai Colony.” Exile was the fate of anyone with this disease. This topic interests me because my great grandfather was diagnosed with the Leprosy in the early 1900s. He was given his deportation orders, but he refused to go. The family smuggled him on a ship to California. He and his family started a new life in Oakland, California. Theodoro Pacheco Smith is pictured second from the right in the dark shirt. You can read more of his story in the “Life of Theodoro & Maria (de Braga) Pacheco”. I have had so many questions since I learned from his death certificate that he died from the complications of leprosy. He only lived 8 years after he fled Hawaii. Was the progression of the disease normal in his case? Why didn’t anyone else in the family contract the disease? Were they able to give him anything for his suffering? I set out to find the answers to these questions. The disease is caused by a bacteria called “Mycrobacterium Lepromatosis”. 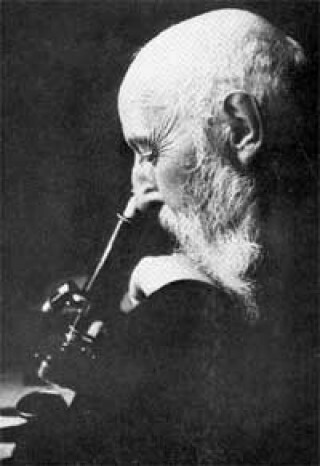 The bacteria was identified by Gerhard Hansen, a Norwegian, in 1873. Here are the results of my research. What I found may surprise you. It surprised me. 95% of the people who are infected never get the disease. Their immune system fights off the bacteria. It may be spread through nasal drippage, but one must have very close contact. It takes 3-5 years before the first sign of symptoms show, but it can be up to 20 years before the first symptoms appear. It affects the eyes, respiratory tract, skin, and peripheral nerves. It causes nerve damage, skin bumps, and light colored sores on the arms and legs. The nerve damage may result in numbness. Permanent side effects are blindness, infertility, facial disfigurement, nerve pain, sinus pain, and muscle weakness. Areas with polluted water are susceptible to the bacteria. It is not very contagious. Children are at a higher risk than adults. It is curable with antibiotics. The first treatment, Promin, became available in the 1940s. Different treatments soon followed. What it must it have been like for Theodoro? He was probably infected some time around 1900-1902. He first noticed a sore on his arm or leg that wouldn’t go away sometime around 1905. I’m sure that plantation laborers working in the hot sun experienced all types of sores, calluses, and blisters, so he probably ignored it at first. Eventually, more sores appeared. He went to the doctor or perhaps someone told the doctor about him. There was a lot of fear surrounding leprosy. They did not know how it was spread or how contagious it was, but they feared it would spread through the entire plantation camp. He got his diagnosis sometime around 1906. Then, he got his orders for deportation to Molokai. He refused. His family quickly worked to get the money together to bribe a ship captain. The captain was paid and the family was smuggled on board. They arrived in Oakland under the name Smith. They stayed somewhat to themselves considering they were in the US illegal. 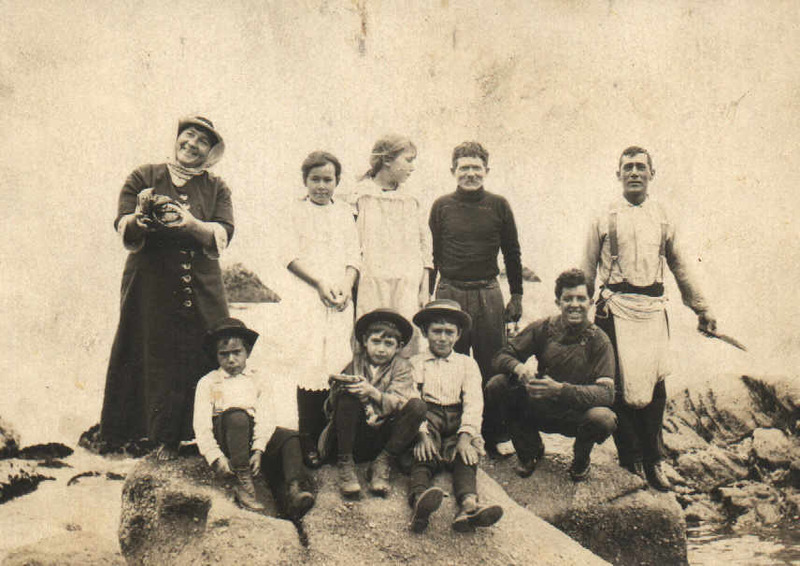 This wasn’t so difficult as they lived on E. 25th Street with the rest of the Pacheco and de Braga families. Theodoro was able to work for awhile. He probably was experiencing some nerve pain and the sores were troublesome. He slowly deteriorated. In 1913, his son, Willie, died of influenza. Just a few weeks later he found himself in the San Leandro Infirmary where there was a leprosy ward. He died a few weeks later with his wife, Maria, at his side. Maria is left a widow while still grieving the loss of her son. She has to raise her daughter and two young boys alone. The oldest son, Jose, helps out. But, it’s Maria’s brother, Jose de Braga, who takes charge. He sends for his sister and her children. They move to Spreckels for a couple of years. Of course, I can’t know all that. But, understanding the disease a little more helps me visualize what those years must have been like for the family and especially for Theodoro. I now know that it was highly unlikely any of his family members would get the disease. His wife and his sister, Marie (Pacheco) Cosma, who was the family doctor, were most at risk as they would have been the ones tending to him. The disease progresses much more slowly than I originally thought. There would have time to plan their escape even before diagnosis. Today, we call it Hansen’s Disease. We are able to diagnose it. We are able to treat it. We are able to cure it. We no longer exile people in leper colonies. Thank goodness for modern medicine! If you are interested in learning more about Hansen’s Disease (aka Leprosy), the World Health Organization has excellent resources. My grand uncle Frank M Rodrigues had leprosy and died in the Colony. Have not been able to find any info. Thank you for this article and for sharing. Gloria, Thank you for your comments! It’s interesting to me how many Hawaiian researchers have one relative who was afflicted. If you check out the other article I linked to within this one, it gives the address of where all the records for Molokai are now housed. I requested information once but there wasn’t anything on people who never arrived. Fascinating! I’m confused by the disparity of the young boy (“second from the left” in the photograph) and the apparent age and marital status of Theodoro Pacheco Smith in the linked article when he came over. Was he just a small boy when he came? Or already married with children? Whatever the case, totally fascinating history. Thanks for the information on leprosy. It’s always been a puzzle to me. I so enjoy reading how you research and learn these things. It helps me in researching my own family history. Kathryn, Thanks for reading! And, thanks for pointing out my mistake. Theodoro is the man in the dark shirt on the right. (I’ve corrected the article to reflect this.) It was really interesting researching this. I found I had so many misconceptions about the disease. Melody, as always your articles are informative and interesting. I just finished reading a Japanese novel that touched upon leprosy in Japan. Interesting that there was no leprosy until the Spanish and Portuguese arrived in Japan with the missionaries who travelled to certain cities to convert Japanese to Catholicism. The story doesn’t go to much into the disease except it is written, that once the Japanese began to contract several diseases never before in their country, the Portuguese were isolated to certain ports cities and not allowed free access throughout the country. The Japanese that contracted diseases were banished to their own communities to deal with diseases. I found this interesting in that it seems quite a number of the Japanese contracted leprosy from the Portuguese. And yes, there was no cure back then. Thanks for the great articles. Gail, Thanks so much! I’m glad you enjoy my articles. It appears the Europeans brought several diseases to areas where they hadn’t been present before. You made me think about another book set in Japan though it is fiction. I can’t think of the title offhand but it was written by Gail Tsukiyama. I read it a few years ago. Even though it was fiction, I found it enlightening about what it must have been like having leprosy.